Zabbix is an open source enterprise-class monitoring software for servers, network devices, and applications. 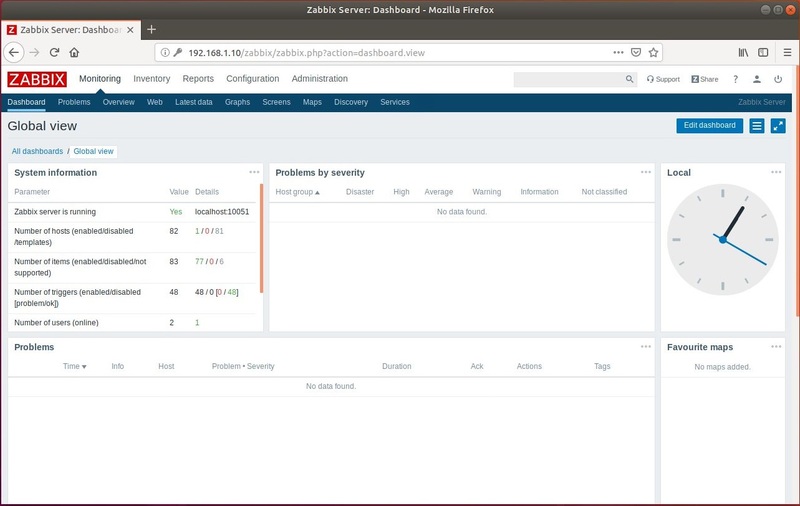 Zabbix uses Zabbix Agent installed on monitored hosts to collect the data. Also, it can monitor standard services such as SMTP or HTTP web services without having a client on the monitored host. Additionally, Zabbix supports monitoring via SNMP, TCP, and ICMP checks, as well as over IPMI, JMX, SSH, and telnet. Zabbix can alert you with real-time notification using XMPP. Zabbix is released under the GPL license v2. 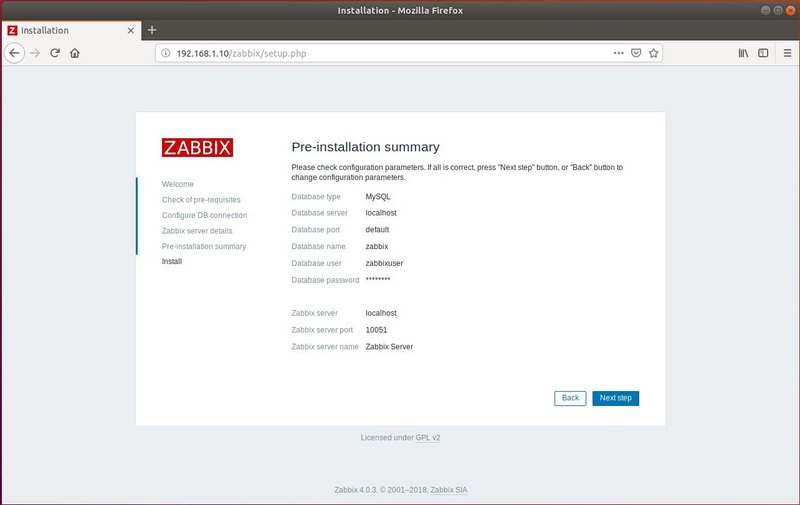 Here, we will see how to install Zabbix Server Ubuntu 18.04, Ubuntu 16.04, and Debian 9. Zabbix requires at least 128MB of RAM and 256MB of HDD space to start with. However, the amount of disk or memory depends on the number of hosts and parameters are being monitored. 2GB of RAM and 2GB of disk space would be sufficient to monitor 500 hosts. 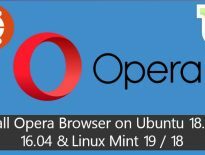 Zabbix is not included in Ubuntu repositories. 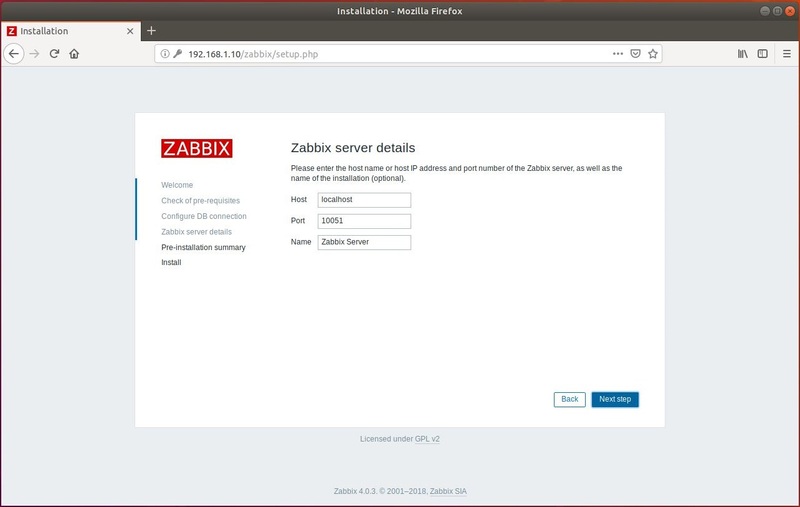 So, to install Zabbix, we will need to set up the Zabbix repository on the system by installing the Zabbix repository configuration package. Use the apt command to install Zabbix server (v3.4) along with MySQL Server on your system. Edit the Zabbix configuration file to update with your timezone. Update the below line with correct timezone, more time zones. Login to the MariaDB server and create a database for our Zabbix installation. 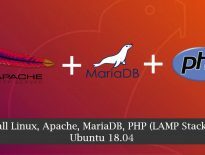 You can log in to MariaDB server without the MySQL root password by running sudo mysql -u root -p or mysql -u root -p command as root in Ubuntu / Debian. Create a database with the following details. Once you are done creating a database for Zabbix installation, import the initial schema, and data into it. Edit the zabbix_server.conf file to set the database details. Make sure you set as follows. Enable the Zabbix services to start automatically on system reboot. Open a web browser and point it to the following URL. 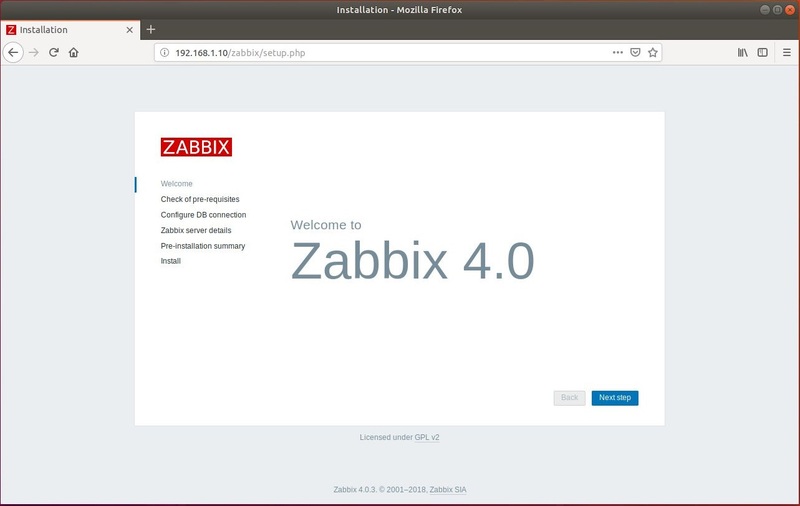 Click Next Step on Zabbix welcome page. This step verifies all pre-requisites are met for Zabbix Installation. If there are any issues, this page will tell you what all the extension are missing. If everything is OK, click the Next Step. Enter the Zabbix database name, DB user, and password, and then click Next Step. Mention the Zabbix server details, port number, and the name for Zabbix installation. You will get a pre-installation summary like below. Click Next Step to go to the next page. 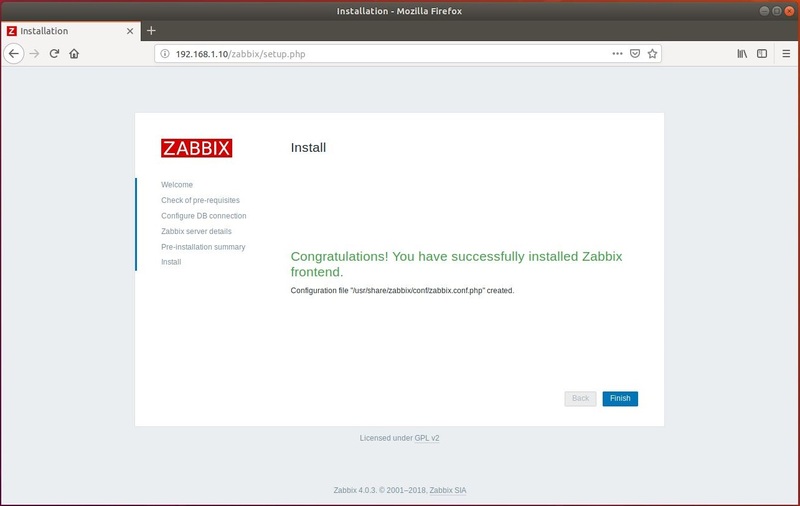 Now, you have completed the installation of Zabbix. Click Finish. Once after you clicked the Finish button, the installer will redirect you to the Zabbix Login Page. 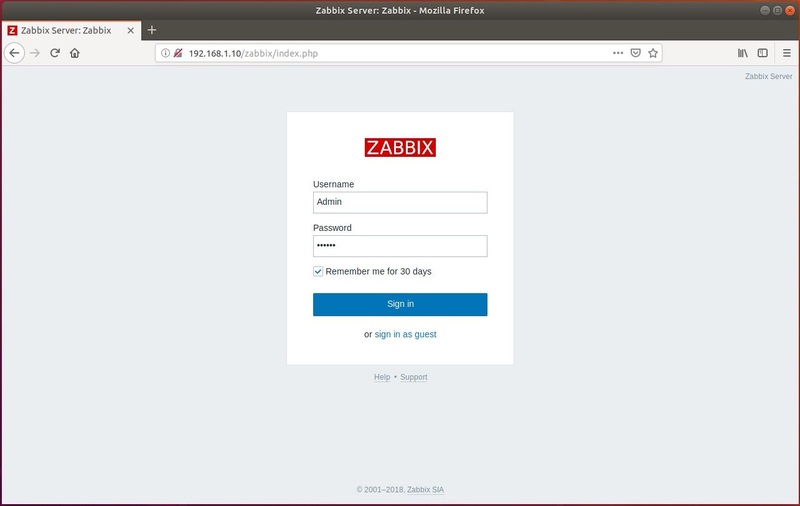 Log in to Zabbix Server with the default username and password. Now, you can proceed to install Zabbix Agent on client systems and then add client machines to Zabbix server for monitoring.